I AM READY TO LISTEN…..ARE YOU ? The information contained in this website is general in nature and is not intended as a guide for self-medication or meant to be a substitute for the advice provided by your own physician or other medical professional. 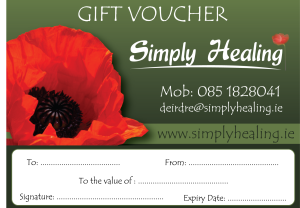 The holistic therapies that are available at Simple Healing are a support to general well being.